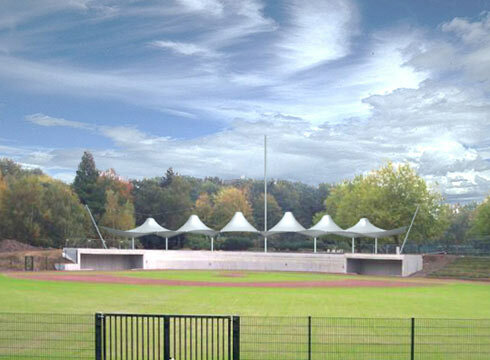 After the redevelopment of the sports facilities in the green space “Hoeschpark”, the base- and softball teams of the “Dortmund Wanderers” put in operation a new stadium. 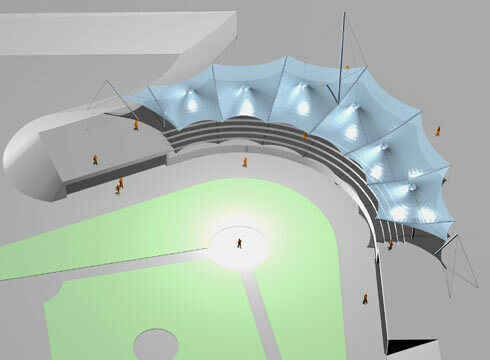 Equipped for international competitions, the stands of the stadium shall be covered in the near future. 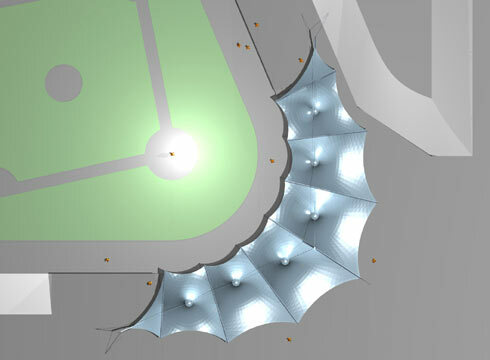 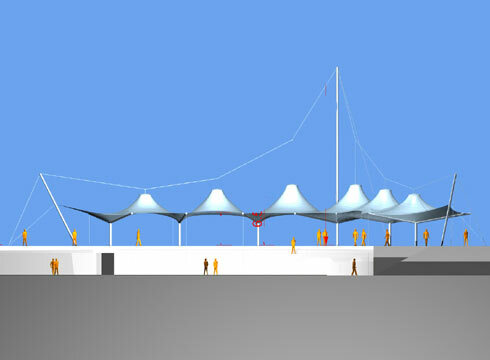 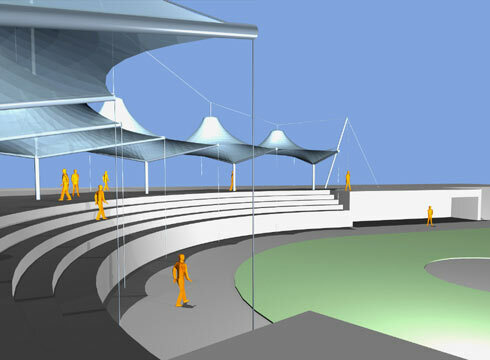 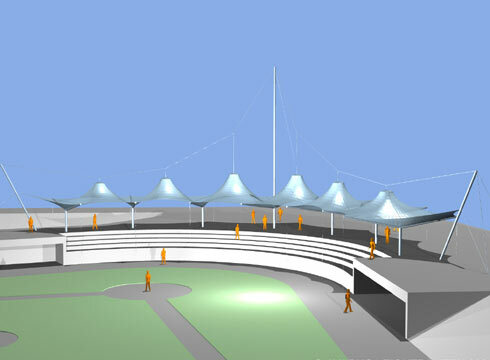 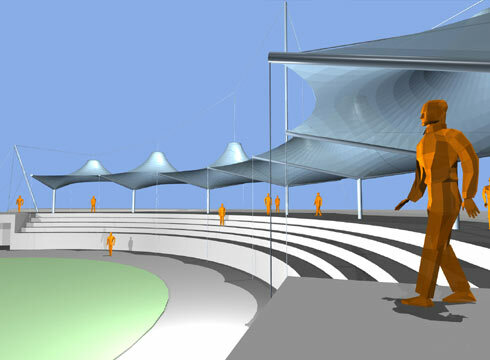 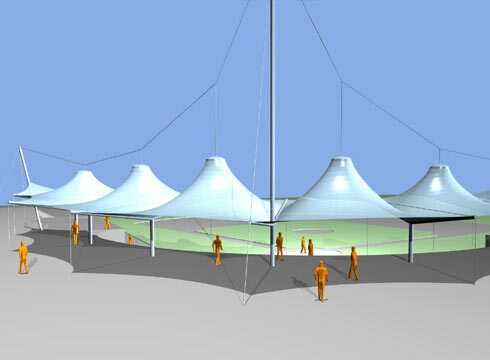 A first design shows an light textile membrane roofing with high points, suspended from a bearer cable.